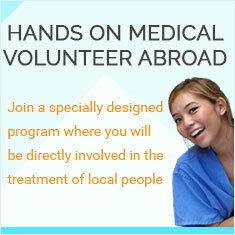 Want to join internship abroad program in Costa Rica to Gain real world experience and make a difference in the world? of real-world experience combined with professional skill building and cultural immersion. No matter what kind of internship experience you want to take part in, we can create a program that will suit your needs. Pay fees directly to your host families and projects. Feel free to choose from wide range of programs that suits your interest, career choice and area of study. Opportunities to travel across incredible landscapes and to immerse onto vibrant local culture of the country are some of the benefits of being an intern of Global Crossroads internship projects in Costa Rica. Whichever project you choose from teaching, environmental and orphanage works to women empowerment and conservation, our internship project will help you to lead a path to your professional career dreams. In context of world being globalised, working and acquiring skills in multi-culture setting will become a large benefit. Our internship projects in Costa Rica are run and guided by experienced professionals, so you will acquire proper mentorship, guidance and instructions with your assignments. This in-turn will help you to enhance and redefine your skills, bolster your resume and enrich your personal growth. Furthermore, by immersing onto foreign and exotic culture, you will get an insight onto yourself and acquire a chance to widen your perspectives. To begin with our program, we suggest you go through our webpage and select a program that suits your career choice and academic learning the most. You can apply for the program of your choice via our easily navigated application page and procedures. For any additional information regarding projects, please send an email to our coordinators, while they will timely reply you with all the support you need. All Internship programs in Costa Rica start every Monday of each month. However, if there is travel constrains, you can start any project on any day. Global Crossroad is committed to offering the most affordable and highest quality Internship programs in Costa Rica. We strive to keep our costs low. The humanitarian side of the business is our passion. Global Crossroad's Internship program in Costa Rica application and registration fee cost US $299. The application fee covers the cost of advertising, program promotion, and office expenses (rent, utilities, and staff salaries in USA office). In addition to the application fee, you are required to pay a weekly program fee. You will pay your weekly fee directly to the country coordinator, who in turn will allocate it to your host family, project and other in-country support we offer to our Internships. This way, the fees that you pay will benefit those who rightfully deserve them, and not for company profit. Option two: If you arrive after 12 PM in Alajuela, you will stay one night in Hostel Dorm Room in San Jose, before transferring to Ciudad Cortes the next day. Includes: Transfer to a hostel from the airport, where you will spend the night. Dinner will be provided. Overnight stay will be in 10 people mixed gender hostel dorm room, and transfer to a bus station in the morning. The orientation and assistance will be at the bus station. Option Three: If you arrive after 12 PM in Alajuela, you will stay one night in the family home (private room) in San Jose before transferring to Ciudad Cortes the next day. Includes: Picks up from the airport and transfer to a private family home to spend the night. Dinner will be provided. Transfer to the bus station in the morning, and orientation and assistance at the bus station. Breakfast and dinner (2 meals) 7 days/week. Matapalo Turtle Conservation site is 120 miles from San Jose. There are two options for you to choose from. If you flight arrives early in the morning, or before 9 a.m. you can choose to go directly to the project by public bus. The Osa Turtle Conservation site is 100 miles from San Jose. Here are the details of the airport pick up and transfer fee. Pacuare Turtle Conservation site is 80 miles from San Jose. There are two options for you to choose from. Bus Departure time from San Jose: 11 a.m.
1. From the Gran Terminal del Caribe of San José, take the 11:00 a.m. bus to Siquirres. You will arrive at Siquirres around 1:15 p.m.
2. From the terminal at Siquirres walk to La Estación Intercantonal, also called Parada de los Calvos, (300m). (If you are not sure, just ask people where you can get on a bus to Las Vegas de Imperio). 3. Take the 2:30 p.m. bus to Las Vegas de Imperio, getting off at the last stop. 4. A staff member will be waiting for you there. The boat transportation cost is 35$ per person, both trips. The Internship overseas in Costa Rica program fees will cover expenses that will begin on the first day of the program (usually the first or third Monday of the month) to the last day of the program. If you arrive before the first day of the program or you decide you stay beyond your program’s last day, you will be responsible for the additional expenses, which would typically be around $30 a day for room and meals at a hostel. Orphanage projects in Costa Rica focuses on helping abandoned and at-risk children and teenagers across the country for a very long time. Internship project in Costa Rica orphanage is carefully designed and supervised to provide international interns with professional quality work-experience whilst they carry out activities fully dedicated to the well-being of project-children. As an intern in Costa Rican orphanage project, you will teach English and other subjects like math and science to children, help them complete their homework, assignments, organize games and sport activities, help the children with personal care, hygiene, cleanliness and sanitation and help the project with fundraising and other administrative tasks. During your internship stay in Costa Rica, you will acquire valuable job-skills, explore prospective career paths, bolster your resume, visit the most thrilling places and discover exotic and vibrant culture of the country while working in the most unique and innovation work-setting. 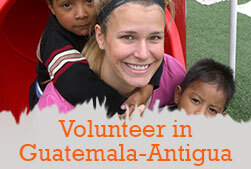 Our interns in orphanage project are preferred to have beginner to intermediate Spanish language skills. This is not a pre-requirement as we encourage you to take our short and intensive language immersion program in case your command over the language is poor. Teaching internship project in Costa Rica is an experimental learning structure for our interns with which they integrate their academic learning with practical and real-world experience a highly professional and quality work-setting. In addition to it, the project equally aims to provide quality English language classes to local schoolchildren. As a teaching intern, you will teach Basic English, both conversational and grammar, to the local schoolchildren and involve them in various fun-learning, sports, creative, arts and extracurricular activities. Your assignments will be given as according to your interests and skills. Your hope of gaining an advantage of future career is met by the teaching internship project in Costa Rica. With real world perspective to professionalism and bolstered resume along with enhanced personal growth, you will standout whenever it comes to widening your future career horizon. Previous experience is not required for you to join teaching internship in Costa Rica. Beginner to intermediate Spanish language skill is preferred though it is not a requirement. We conduct short and intensive crash course on the language prior to or simultaneously the project to make your stay more rewarding. Goal of environmental project is to take creative measures to aware and educate the local communities about rich biodiversities and ecosystems and to check the depleting resources. Environmental internship in Costa Rica is designed to integrate the global academic learning of interns onto local practice. You do have a large range of creative and innovative ideas to pour onto the project. Generally, you will maintain trails in the municipal forest, participate in afforestration programs, clean streams, create and assist new educational activities and assist with office works. Environmental internship in Costa Rica is a creative tool to retain quality and talent for young and enthusiastic students and graduates. The internship will help you to link academic learning with supervised work-training and gain competitive advantage over valuable occupational skills. Along with these advantages, you will bolster your portfolio, explore local landscapes and immerse onto local vibrant culture. Dedicated and enthusiastic interns preferably with beginner to intermediate Spanish language skills are called to apply for this project. We offer Spanish language program for those who have no or less command over the language just before the project starts to make their stay more fruitful and rewarding. There are no mandatory skills or experiences needed for you to participate in this program. As beginner to intermediate skill of Spanish language is necessary for the project, we offer short term language immersion program for the interns who have poor command over the language. Physically fit interns with large interests in environment conservation and travelling largely fit the program. Women project in Costa Rica helps local and low-income families to sustain and generate income with cooperatives. Internship in women project of Costa Rica gives an insight of grassroots economies and socioeconomic conditions of local women and prepares them enter onto professional world with apt skills and expertise. Being a part of women project, you will be assigned to perform different tasks to support and participate in farming and sales of organic fertilizers, orchids, cacti and other ornamental plants. You will assist local women community in marketing, accounting, distribution of products, gardening and associate yourself with activities related to greenhouse, fundraising, information technology and advertising. Internship in women project helps our international students and graduates more acquainted with gender equality, women empowerment and income generation. As an intern, you will gain valuable work-skills and a standout reference after the completion of project that will certainly help you to finally land in lucrative future job offers. Other than beginner to intermediate Spanish language skills, there are no other qualifications or prior experiences needed for you to participate in this project. If you don't have basic Spanish skill or poor, we provide short and language-intensive course to make your internship and Costa Rica stay more rewarding. Sea turtles in the Caribbean coast of Costa Rica are the beautiful creatures and an indicator to ongoing environmental depletion and degradation. Internship in turtle conservation project focuses to protect turtle population with habitat preservation and breeding supervision. As an intern in turtle conservation project of Costa Rica, you will safeguard turtle habitats and monitor their breeding. You will also help to decrease poaching and help to secure healthy turtle nests. You will also participate in different programs planned and organized by the ministry of environment. You will preserve turtle habitats, work with hydroponics greenhouse, patrol and collect eggs during nighttime, document data of turtles, nest temperatures and population, prevent the predators, monitor and release hatchings, prepare chemical fertilizers and promote campaigns among others. Tailored and professionally supervised turtle project in Costa Rica helps to acquire valuable conservation skills and to bolster your resume. You will get a chance to explore turtles' lifecycles, habitats and breeding. Furthermore, you will get a chance to explore more about marine habitats, beautiful marine coastlines and the impacts of ongoing global climate change on them. Basic communication skill in Spanish language and interests in environmental conservation is required for you to participate in turtle conservation project. If you have poor command over the language, we provide you with short-term and language-intensive course. While working as an intern in Costa Rica with Global Crossroads, your internship project is supervised by experienced and qualified professionals. In most of the cases, the head of the project will serve as the supervisor of your internship program. The supervisors are experts in their respective fields where they will help you with any problem you have and mentor you p till the completion of the project. Depending on your qualification and time allocated for your project, you might need to pay an additional fee of $25-$50 per week to supervisors. Please communicate with our office or our country coordinator if you need personal supervision to help you in your completion of your internship project. Global Crossroads does not provide college credit for its internship projects. Our local office or your supervisor will provide you with a letter and certificate on the completion of your program verifying your work as an intern and your job responsibilities as an intern. If you need college credit for your internship, please contact your own university, college or professors. Our international interns in Costa Rica are provided with accommodations in a home base or with host families. Our home base is located in a safe and clean neighborhood and is near to internet cafes, local markets, local bus stop, police station and departmental store. Our home base provides comfortable bedrooms and community areas. There is a shared and furnished kitchen, television and shared bathrooms with running water and clean bathrooms. Depending on the project locations, intern accommodations are also made with host families. These families are well experienced in hosting international interns and volunteers for a very long time. Staying with host families will further immerse into the beautiful culture and Costa Rican way of life. Three meals—breakfast, lunch and dinner are served to interns. We also provide vegetarian meals to interns which they must mention about it on their application forms. The fee you kindly pay to our programs is not inclusive to other meals and beverages except for three meals. Specific details regarding accommodations, food and contact details of the local coordinator and the supervisor will be provided in a personalized internship placement document prior to your arrival. Our internship projects have flexible schedules and are stationed in the most alluring and incredible places of the country. You will get a lot of free time which you can utilize it by going to rafting, hiking, bird watching, zip lining or viewing nightlife in Costa Rica where there is surplus of beauty and hospitality, cloud forests, volcanoes, stretched out Atlantic and Pacific coasts. Although we don't generally arrange activities for our interns, our local staffs will assist you accordingly with information and support for your various free time activities. There is lots of travelling and fun options which our local team of staffs will help you choose the best options.